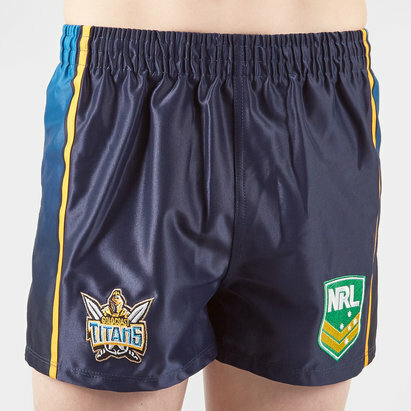 Perfect for sporting during you're own big games, play your part as a loyal Gold Coast fan on and off the field by pulling on these Gold Coast Titans NRL Alternate Kids Supporters Rugby Shorts from ISC. Sticking to what is a relatively new tradition these shorts are predominantly sky blue with navy, white and gold detailing down the sides. 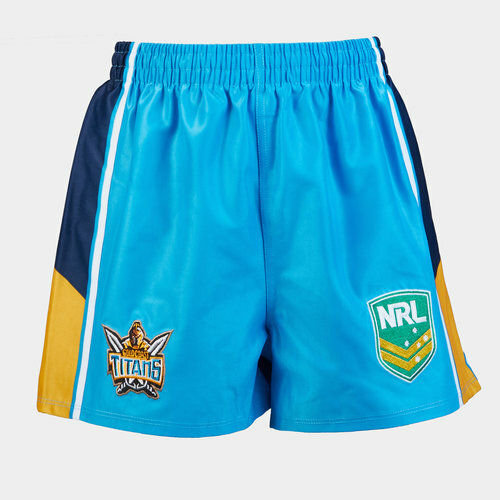 The NRL badge is on the left of the shorts and the club badge is on the right.